Ponte is the Italian word for bridge (ponti is the same word but in plural form). Besides the literal meaning, there’s also a figurative one which refers to a long holiday weekend (where extra days extend or “bridge” the traditional weekend). A weekend di ponte happens when a national holiday lands on a Thursday, Friday, Monday or Tuesday. In the case of a holiday falling on a Monday or Friday, a 3-day weekend is created. When a national holiday is on a Tuesday or Thursday, most people in Italy (and many schools and businesses) will take an extra day off to create a 4-day weekend. Italians *love* their holiday weekends but the stars have to align just right (or rather, the calendar) to create the perfect formula. 2017 just happens to be that ideal year: the so-called year of the ponti. To be honest, I can’t recall the last time in Italy that so many long holiday weekends fell in one calendar year. Below I’ve listed the weekend di ponti that fall during peak-season 2017 as well as my tips and advice if you plan to visit the Cinque Terre during one of these holiday periods. Pasqua: Easter is *always* a 3-day weekend in Italy because Easter Monday (Pasquetta) is also a national holiday. Expect this to be an incredibly busy weekend as this holiday is celebrated throughout Europe (so it’s not just Italians on holiday). 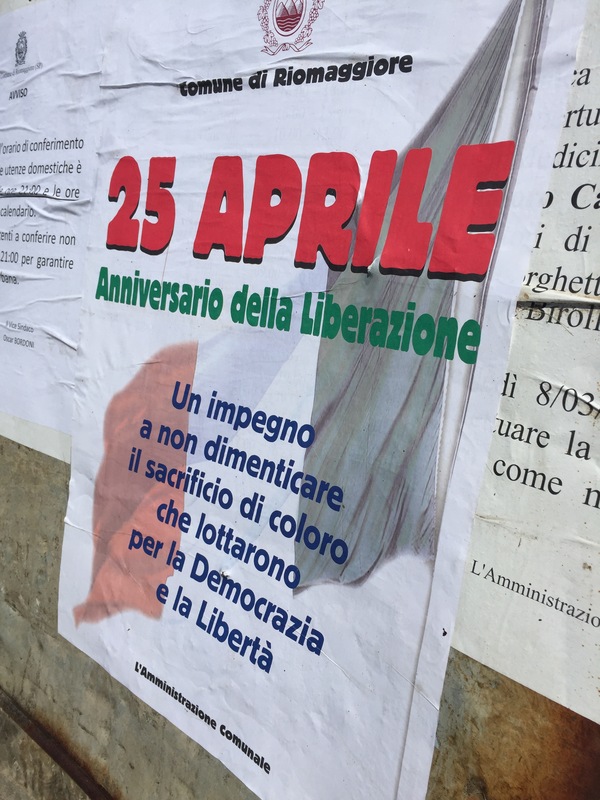 25 aprile: April 25th is a national holiday celebrating Italy’s Liberation Day. This year it falls on a Tuesday meaning most Italians will celebrate with a 4-day weekend (as they will take Monday, April 24th off). 1 maggio: On May 1st Italians celebrate their Festa del Lavoro (Labor Day). This year May 1st is a Monday, creating a 3-day weekend. 2 giugno: June 2nd marks Italy’s Festa della Repubblica (Republic Day) and because it lands on a Friday it will be a 3-day weekend. Ferragosto: August 15th is a religious holiday (celebrating the Assumption of Mary) that is also observed as a national holiday. Many Italians already take the entire month of August off work but for those that don’t, Ferragosto will be celebrated as a 4-day weekend (as it falls on a Tuesday). Expect crowds. I’m always a bit surprised when people mention that they didn’t anticipate that it would be so busy on a holiday weekend. Universally, I think it’s a safe assumption that more people travel when they have a long holiday weekend. 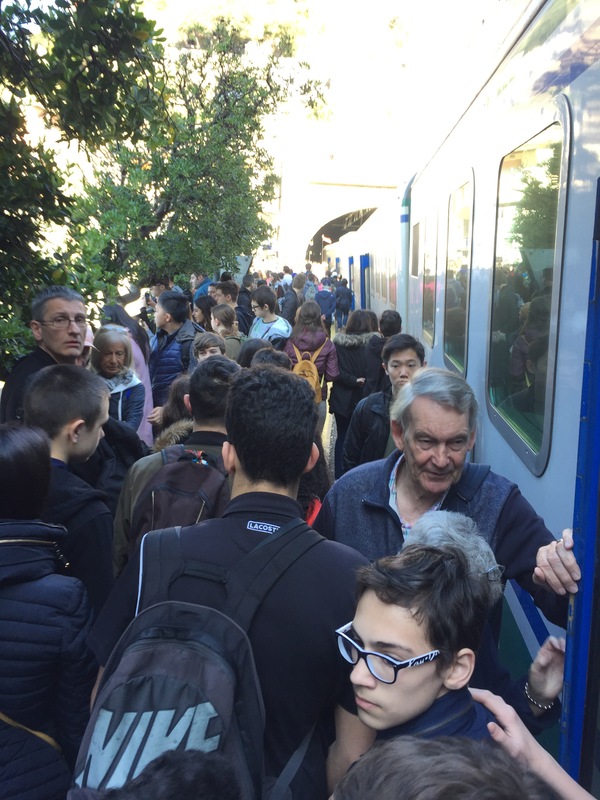 If you’re heading to an already popular destination (like the Cinque Terre but also Rome, Florence, Venice, etc.) know that it’s likely that you’ll encounter more people than usual. Book everything you can in advance. This includes accommodations, train tickets, dinner reservations, etc. This is not the time to travel spontaneously as you’ll find most everything booked out (or at the least very, very busy). A little planning in advance can save you lots of time and stress, as well as save you from settling for something less than stellar. Be on the lookout for pickpockets. These thieves love holiday periods because they work best in crowds (as they are less likely to be noticed). The #1 place you need to be vigilant is at the stations and on the trains. Have a look at my previous post that talks more about this subject (with tips & advice) by clicking here. Get off the beaten path. It goes without saying that the main drags in the villages are going to be busy and bustling during peak times (say, 10am to 4pm-ish). 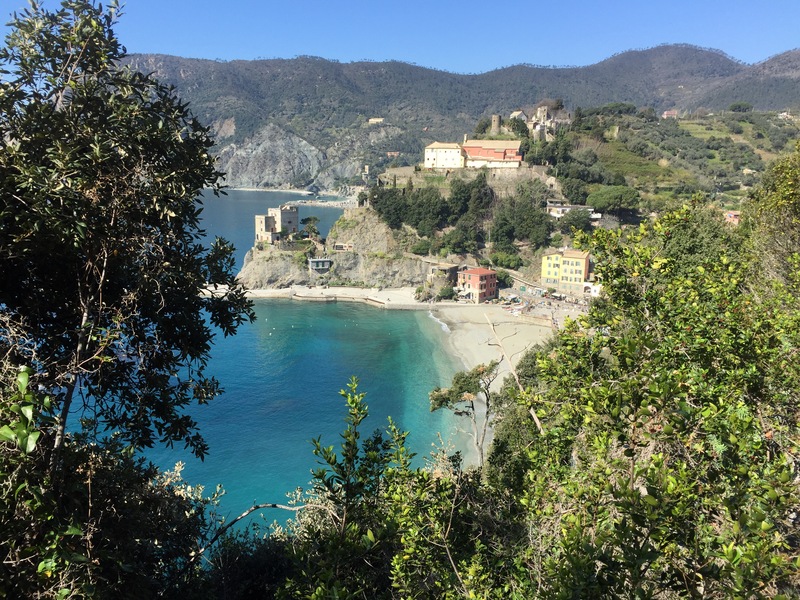 Go on a hike (preferably a secondary trail rather than the Sentiero Azzurro which will be busy), grab the Explora bus and get off in the smaller villages (like Volastra, Corniglia or San Bernardino) or rent a boat or kayak and get out on the water. You can check out the main streets of the village outside of the peak hours and you’ll find the experience much more pleasurable. Ask around to see if there will be any special events. Don’t think that all is bad with holiday weekends. Find the silver lining by asking your host (or inquire at the TI office) if there will be any special events planned to commemorate the holiday. 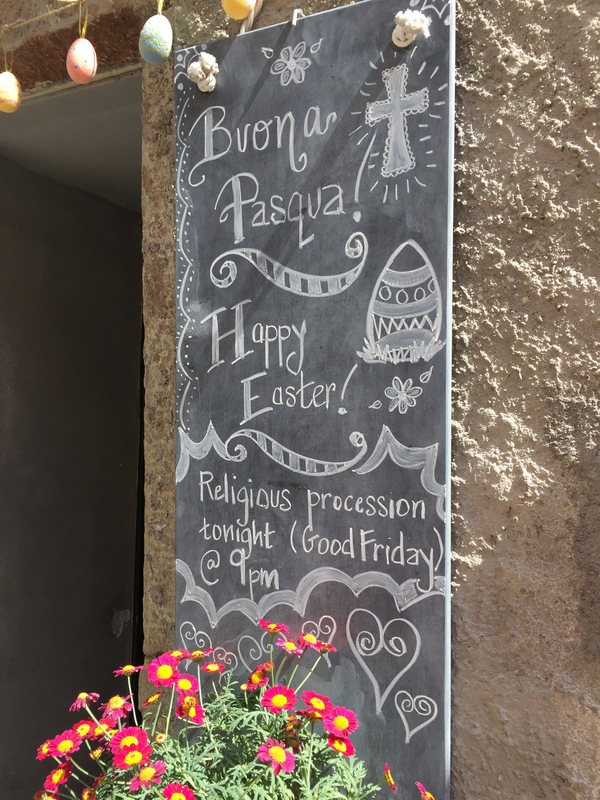 Religious holidays in particular (like Easter and Ferragosto) usually have some events planned (like processions, displays, or special Masses). Oftentimes I’m asked if things will be open in the Cinque Terre during holiday periods. The answer is yes. The Cinque Terre villages are a popular destination for both domestic and international travelers so you’ll find everything open here (shops, restaurants, bars, cafés, etc.) with the exception of banks, post offices and other government offices. P.S. Local patron saint festivities are some of my favorite things to witness. While these obviously aren’t national holidays they are still a matter of pride and importance in the villages (and fascinating to watch or participate in). 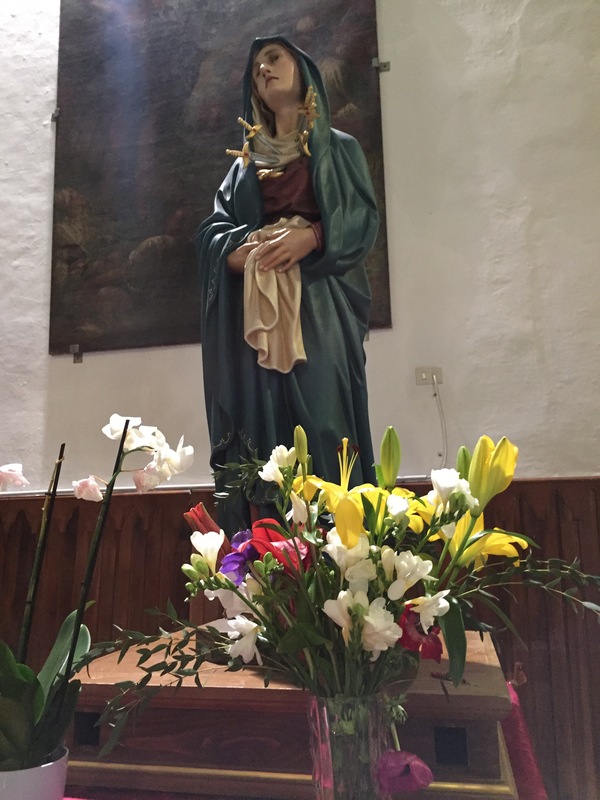 Have a look at my previous post that lists each village’s patron saint day (as well as neighboring cities to the Cinque Terre).